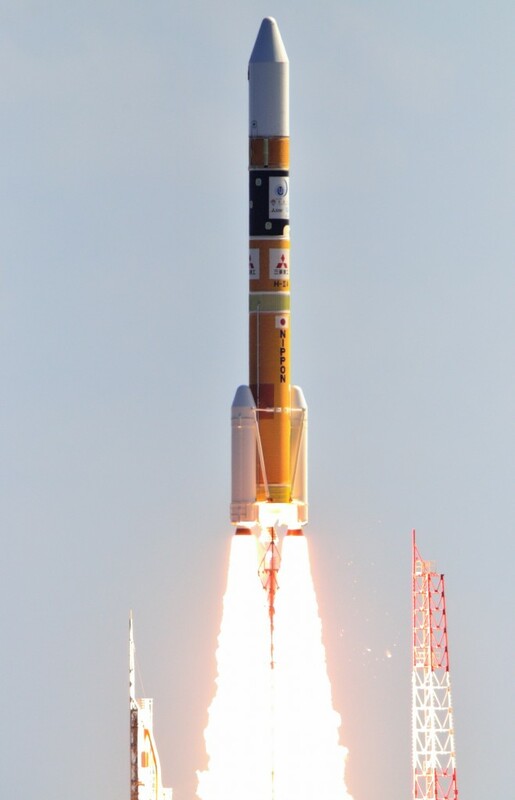 H-IIA is a Japanese Launch Vehicle. 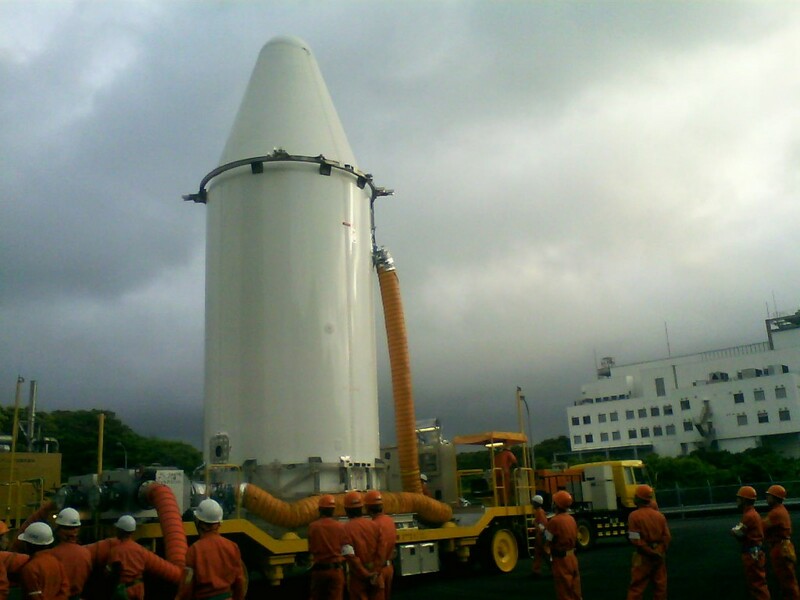 It is a two-stage rocket operated by the Japan Aerospace Exploration Agency and MHI. H-IIA is built by Mitsubishi Heavy Industries. The Vehicle is capable of flying satellite missions as well as releasing spacecraft into planetary trajectories. Based on its capabilities, H-IIA is a medium-lift launcher which can place payloads in a variety of Orbits including Low Earth orbit and Geostationary Transfer Orbit. 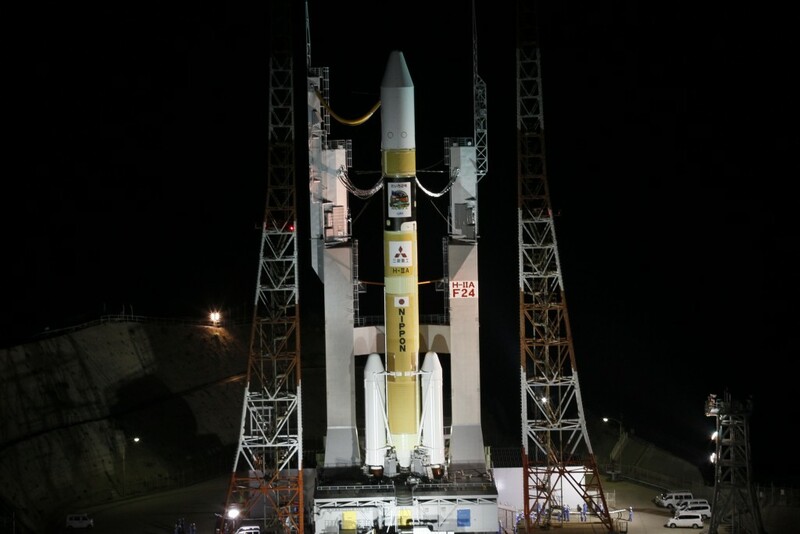 The H-IIA Rocket is being launched from the Tanegashima Space Center, Japan. 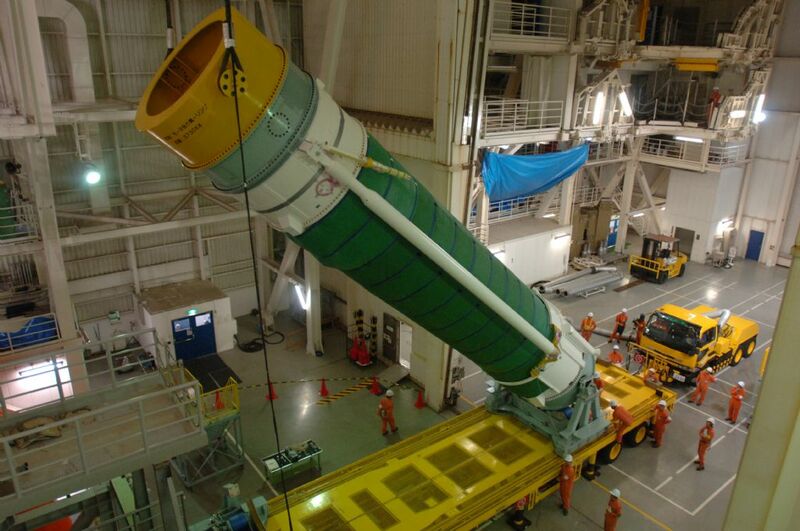 Current Launches are operated by MHI only as JAXA handed the Launch System over in 2007. To date, H-IIA has completed over 20 successful missions demonstrating its capabilities and delivering payloads to space. One mission was catalogued as a failure. H-IIA has a success rate of 95%. The Launcher made its maiden voyage on August 29, 2001. Two test flights were completed before regular missions of the H-IIA were introduced. Since then, the vehicle has delivered a variety of payloads into different Earth Orbits including Geostationary Transfer Orbit, also, the launcher has sent spacecraft on Planetary Trajectories. H-IIA is derived from the original H-II that underwent extensive modifications to reduce costs and increase reliability. The Launcher can fly in different versions with different numbers Solid and Liquid Fueled Strap-On Boosters. 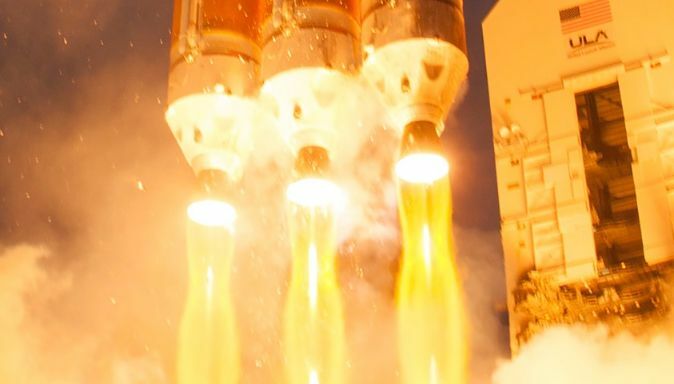 Flight proven components of the H-IIA series are also being used on the H-IIB Heavy Lift Launch Vehicle that is being used for International Space Station Resupply Mission using the H-II Transfer Vehicle. In the 202 Configuration, the Launcher features two Stages (first digit), no Liquid Rocket Boosters (second digit) and two Solid Rocket Boosters (third digit). 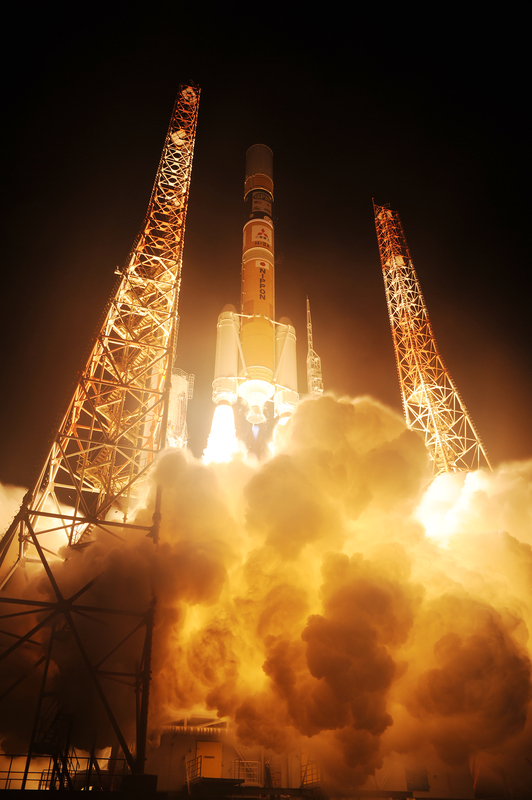 The 202 Version of the H-IIA Launcher has a liftoff mass of 285,000 Kilograms and is 53 Meters in length. It has a diameter of 4 meters and features two Solid Rocket Boosters. Its first and second stage use liquid Hydrogen and liquid Oxygen as propellants. The Launcher can lift payloads of up to 11,000 kilograms to Low Earth Orbit. Sun Synchronous orbit and GTO Capabilities are about 4,000 Kilograms. The first stage tank walls and domes are made from aluminum alloy and utilize reliable welding techniques to provide maximum strength. The stage features the common design with the oxidizer tank above the fuel tank. The tanks hold 87,100 Kilograms of -183°C Liquid Oxygen and 15,700 Kilograms of -253°C Liquid Hydrogen. One LE-7A Engine powers the first stage with a total thrust of 1,078 Kilonewtons. 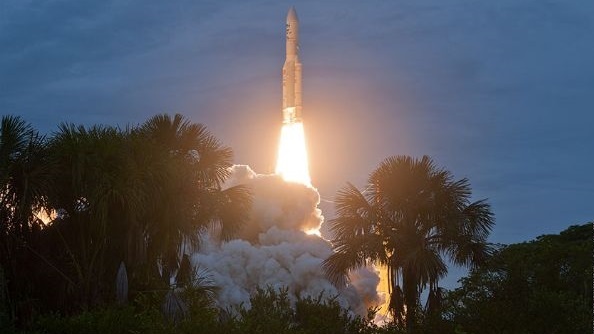 After engine ignition, the main engine is monitored for several seconds and good performance is verified before the vehicle is released and lifts off. An autonomous shutdown is conducted in case of off-nominal engine performance. The LE-7A has dry mass of 1,714 Kilograms and a length of 3.4 meters. It has a nozzle ration of 1:52. First Stage Burn time is 390 seconds after which the stage separation mechanism is used to jettison the first stage. Thrust Vector Control is provided by gimbaling the engine. Tank pressurization is accomplished with Helium, stored in three 84-liter tanks at 308 bar and fed to the propellant tanks through a series of regulators. The first stage has its own VHF communication system to send telemetry. Navigational Data is acquired with a Rate Gyro Package and a Lateral Acceleration Unit. The interstage adapter between the two stages is a carbon fiber aluminum core composite structure. 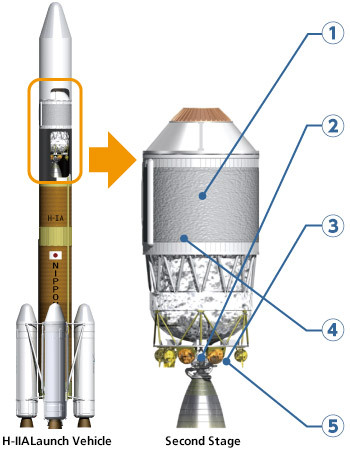 The 202 Version of the H-IIA Launcher features two Solid Rocket Boosters that are ignited on the Ground and provide an additional amount of thrust for the first portion of the ascent. H-IIA can use the standard SRB-A boosters or the more powerful SRB-A3 depending on mission requirements. Weighing 77,000 Kilograms, each SRB-A is 2.5 Meters in Diameter and 15.1 Meters long. The Boosters burn for the first 100 seconds of the flight and are jettisoned 10 seconds after burnout. SRB A3 weighs 76,600 Kilograms, each SRB is 2.5 Meters in Diameter and 15.1 Meters long. The Boosters burn for the first 114 seconds of the flight and are jettisoned nine seconds after burnout. The Booster Motor Case consists of Monolithic Carbon Fiber Polymer. Each of the Boosters provides 2,305 Kilonewtons of thrust. In essence, the tank assembly of the second stage of the H-IIA is simply a smaller version of the first stage’s design. 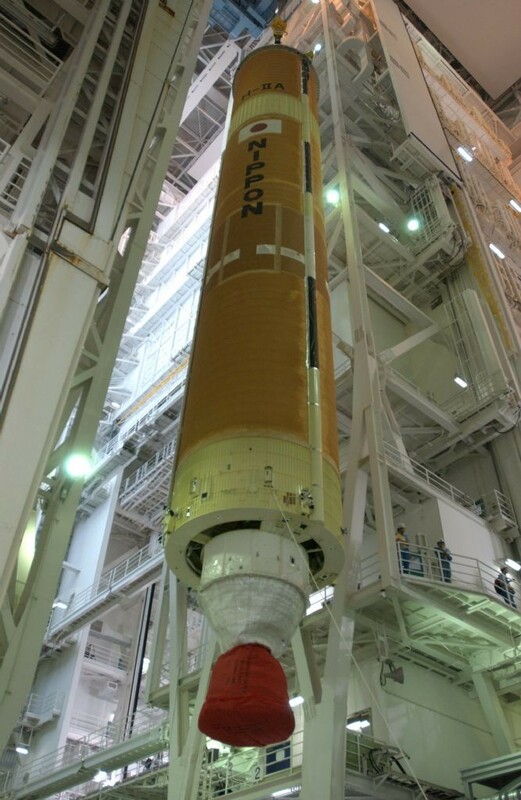 It holds 14,100kg of Liquid Oxygen and 3,100kg of Liquid Hydrogen. One LE-5B engine powers the vehicle during second stage flight. The Engine is 2.79 meters in Diameter and has a nozzle diameter of 2.49 meters. LE-5B provides 137 Kilonewtons of thrust. It has a nominal burn time of 530 seconds, but is certified to burn for up to 40 minutes. The engine can support up to 16 re-starts. During a nominal mission, the first burn of the second stage occurs after stage separations to place the vehicle in its preliminary Low Earth Orbit and a second burn later in the mission to increase the stack’s orbital altitude. After spacecraft separation, the second stage is able to make a Collision Avoidance Maneuver. Pressurization of the tanks on the second stage is accomplished with Helium, stored in three tanks of 85.5 liters at a pressure of 130 bar. The second stage accommodates most of the the avionics of the Launcher. Flight computers and navigation system are redundant systems as part of a single-fault tolerant architecture. The Upper Stage is outfitted with a Reaction Control System. This system is used to control the vehicle’s attitude during coast phases using a series of Hydrazine monopropellant thrusters fed from a 108-Kilogram tank. The Upper Stage is also equipped with a Flight Termination System. Starting with H-IIA Flight 29, a number of upgrades are implemented on the second stage to increase its flight duration in order to make it suitable for missions to what JAXA calls ‘Upgraded Geostationary Transfer Orbit’ – in essence a GTO with increased perigee as often flown to by the Proton/Briz-M and Atlas V rockets to allow payloads to reach their final Geostationary Orbit at less propellant expense. For H-IIA to reach this orbit, a mission profile with three second stage burns is needed. 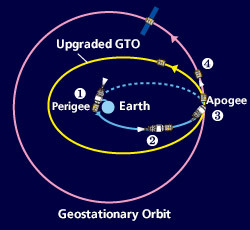 The first firing of the second stage, immediately after separating from the 1st stage, boosts the vehicle into a Low Earth Parking orbit (near circular) for a coast phase. The second burn comes after a short coast phase of just ten minutes so that it centers the equator crossing and thus places the apogee above the equator. Next, for the third burn to act as perigee-increase & inclination-reduction, the stack has to coast to the apogee of the orbit, taking approximately four hours. The third burn brings up the perigee and cuts the energy needed by the satellite for the GEO insertion. To facilitate this long flight profile, a number of changes are being implemented on the second stage. One item introduced on an earlier mission is a white coat of paint on the exterior of the Thermal Protection Material of the stage to reflect sunlight and limit the heating on the supercold propellants in order to limit their boiloff. Furthermore, the second stage has the new ability of performing at Passive Thermal Control roll maneuver to evenly distribute sunlight on the surface of the vehicle to avoid thermal gradients. Next, to be able to operate for multi-hour missions, the second stage hosts a high-capacity Li-Ion battery not part of the standard H-IIA second stage design. A major driver in making the stage fit for extended GTO missions was the consumption of propellants. To limit the use of Liquid Oxygen for the chilldown of the LE-5B engine turbopump, a new trickle pre-cooling procedure was developed, requiring less LOX to accomplish the engine conditioning. Another important aspect of the Stage 2 design was the modification of the attitude control system which normally was used for propellant settling – that is providing a slight forward thrust element so that the propellants stay in the aft portion of the tanks in order to maintain uniform two-phase mix within the tank. Because of the long mission duration, the Hydrazine-fueled attitude control system would need too great an amount of Hydrazine to fulfill the settling function. The re-designed stage uses boiloff gases from the cryo tanks to deliver the required forward thrust component during the lengthy coast. 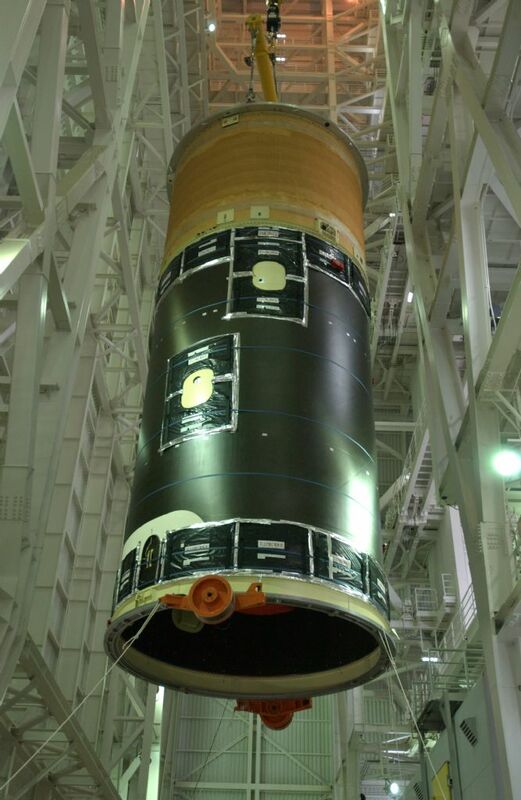 The Payload Fairing is positioned on top of the stacked vehicle and its integrated spacecraft. It protects the vehicle against aerodynamic, thermal and acoustic environments that the launcher experiences during atmospheric flight. When the launcher has left the atmosphere, the fairing is jettisoned. The fairing then falls back to Earth. Separating the fairing as early as possible increases ascent performance. H-IIAs standard Fairing is 12 Meters long and 4.07 Meters in diameter. It weighs about 1,400 Kilograms. Custom fairing designs are available to accommodate a variety of payloads and customers. Payload Adapters interface with the vehicle and the payload and are the only attachment point of the payload on the Launcher. They house equipment that is needed for Spacecraft Separation and ensure that the payload is secured during powered flight. Electrical and Communication connections are also part of the Adapter and route spacecraft Telemetry to the Flight Computers for downlink. 11 different off-the-shelf adapters is available to suite different spacecraft needs and requirements. Individual Adapter designs are also available to accommodate a variety of spacecraft. 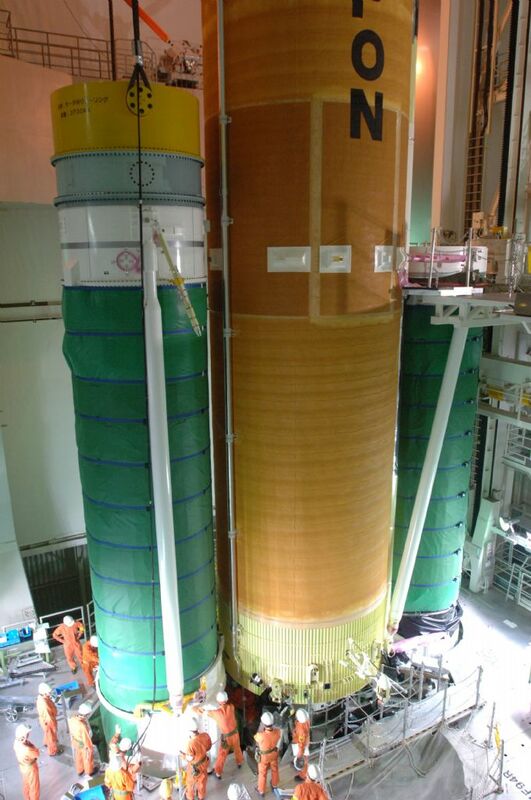 H-IIA is capable of dual-payload missions for which a special adapter is used to launch the payloads in a stacked configuration.